Her friends once thought she was perfect. Now she must face the mirror--and herself--to discover what true beauty is. Then in the course of a few minutes, the loose string in Ellie's life completely unravels. 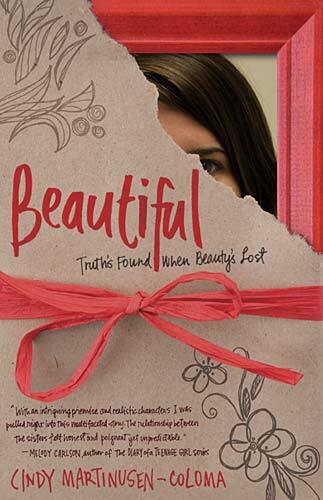 Forever changed, she must face herself as she discovers what it really means to be beautiful. I loved this book, it spoke to my heart. All I can say is, whoever has wished that they were more beautiful and more successful, or whoever has simply felt discouraged and unimportant, this book is for you.